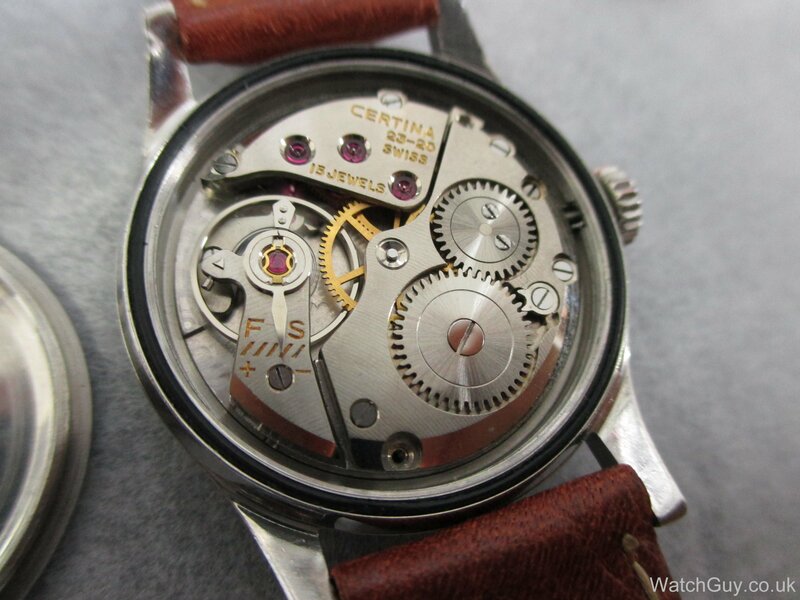 Certina 23-20 | Mitka's vintage watch service. 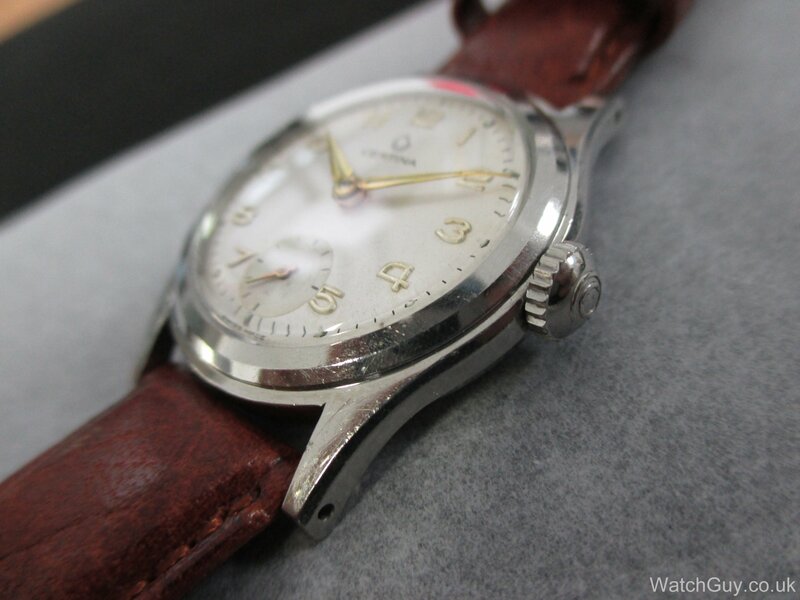 Stainless steel Case is in decent condition for age. 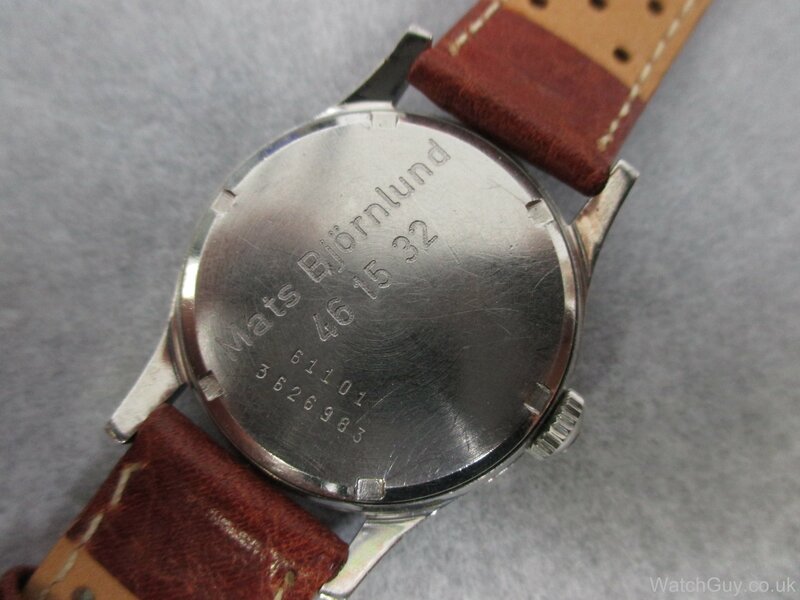 There are some scratches between 10-11-12, 1-2 and around sub second hand and one marker missing no 14 min past. also 2 markers on the sub seconds dial. Despite its flaws that dial is still very presentable. The case back in in decent shape and has never been polished. Engraving probably belonged to original owner. I always like a dust cover over the movement. 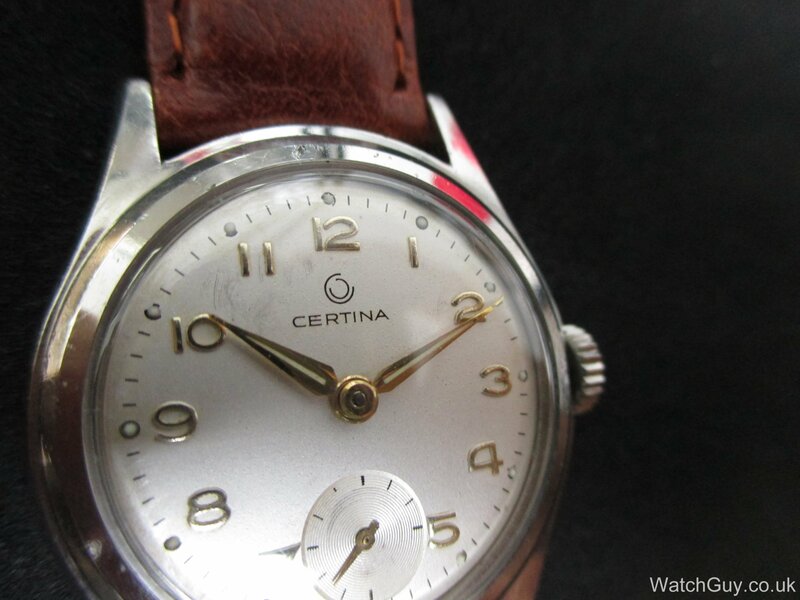 Certina has some very beautiful movements and this 23-20 is in very good shape. 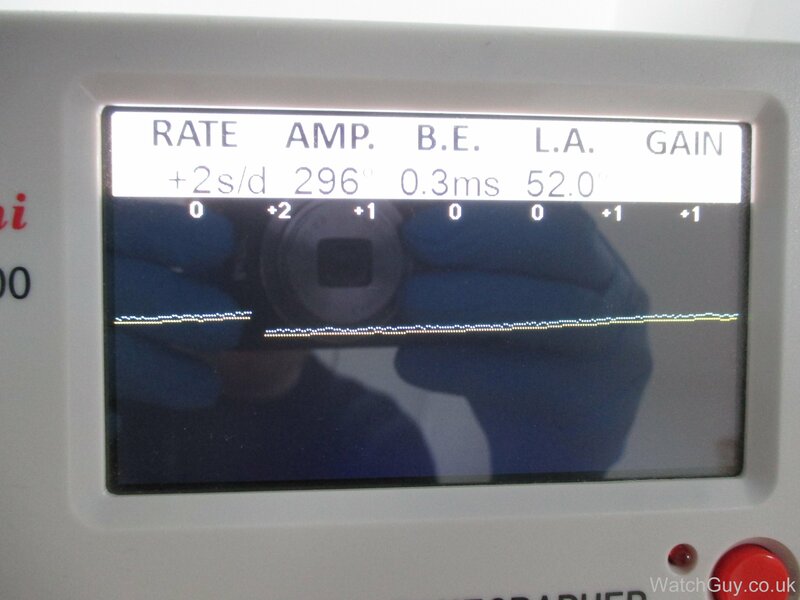 Movement was serviced in 2014 and still preforming well.